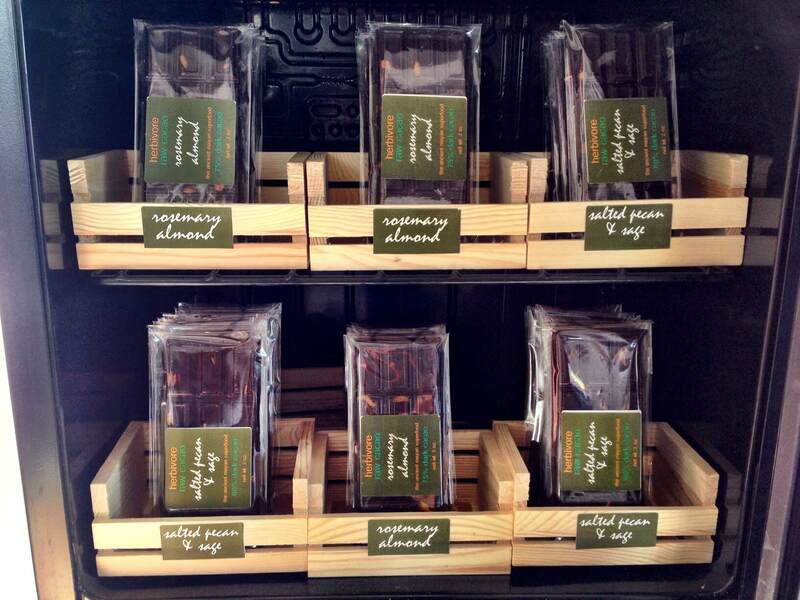 It's delicious: herbs in chocolate have a mild and balanced flavor and enhance the chocolate. It has a unique flavor: Compared to milk, white and dark chocolate varieties, herb-infused chocolate will leave a unique lingering flavor on your palate. Mint may be one of the most pronounced flavours you will find, but there are many different types available. It contains more nutrients: adding herbs, means adding nutrients. Learn more. Don't forget that the right kind of chocolate is good for you. Read our blog post to learn more: 7 Reasons Why You Should Eat More Chocolate. Herbivore, a farm run by Gabrielle Gaul on the outskirts of Palm Springs, supplies us with fresh-cut organic aloe leaves that are harvested on a weekly basis, as well as herb-infused chocolate. 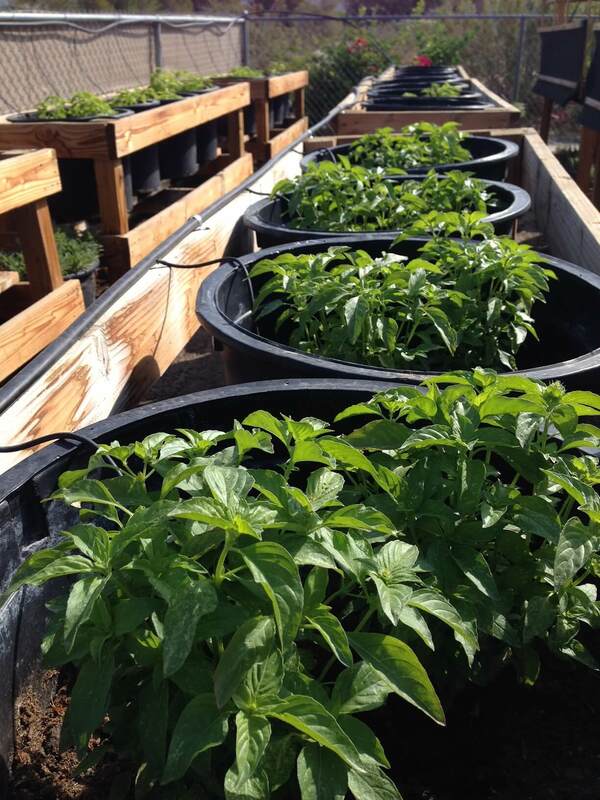 Located on the edge of Joshua Tree National Park, the farm grows an array of herbs, including rosemary, mint and basil, as well as aloe. Once harvested, the herbs are slow-dried for 5-7 days (depending on their moisture content) to preserve and enhance their flavors. In this day and age, slow drying herbs is a lost art. Most big companies abandoned this process a long time ago and replaced it with rapid heat drying, to cut costs. This has negative side-effects, as it results in dried herbs that are almost devoid of taste and nutrients - not the case with Gabrielle's herbs. Once they are fully dried, they are blended into the chocolate mix. One of the things that sets Gabrielle's organic herb farm apart from most others, is her clean, chemical-free, loving growing methods in this pristine high desert area where GMO is not even a thought. What’s your favorite chocolate flavor, or would it be more accurate to say one of your favorites? My favorite is Salted Pecan & Sage. I've always had a thing for the sweet / salty combo. What made you think of making herb-infused chocolate? How did you come up with the idea? The idea struck me when I had a chocolate craving at the farmer's market. I thought, "I wish someone sold chocolate here... Hey! I could do that!" When I pitched the idea to my market managers, we agreed that it would be have to be a healthy artisan chocolate, utilising the herbs from my farm. What do you love about the farming and chocolate making, and your business in general? There are so many things I love about my business. It's difficult toÂ name just one. To plant a seed, care for it, harvest it and then shareÂ it is very satisfying. To share a creation of your own is very satisfying. Working with nature on a small scale, rather than massÂ producing is very satisfying. To educate folks on the differenceÂ between real food and processed gunk is satisfying. Not promoting GMOs, waste, animal cruelty or harm to the environment is very satisfying. Working WITH nature, rather than trying to improve uponÂ it, is the most satisfying. 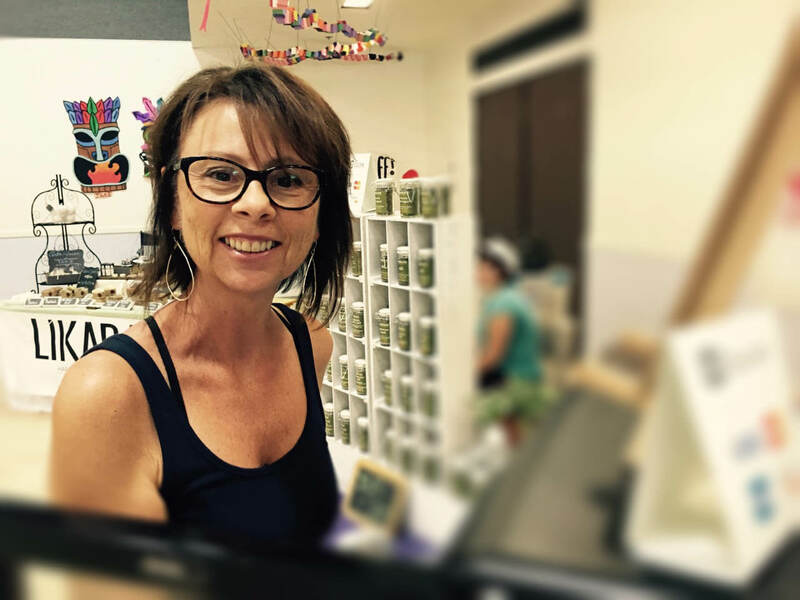 --- Zebra Organics was the first ever to give Gabrielle and Herbivore a platform to sell her products, outside of the local farmers market, where we met her many years ago. We are proud to support our friend and passionate artisan farmer/chocolatier Gab and her efforts to produce a quality of chocolate that is rarely seen these days. Her chocolates are a real treat, rich with flavor and texture that surpasses gourmet expectations.